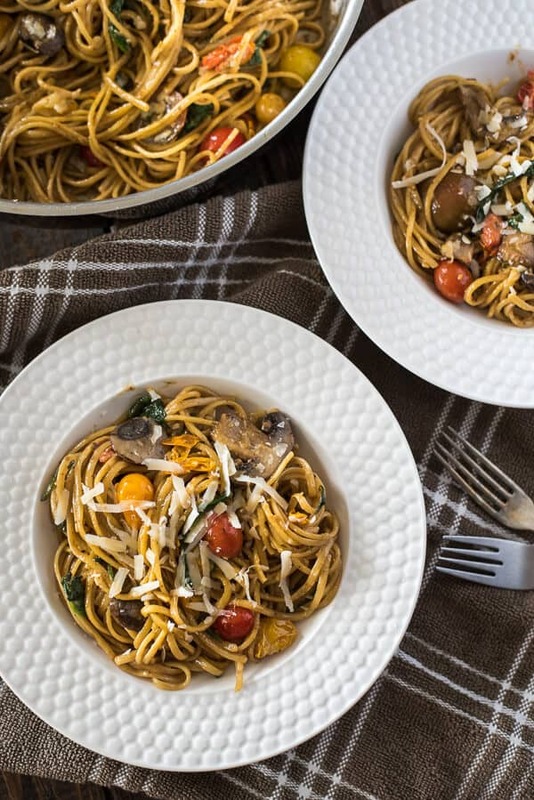 Looking for a delicious quick & easy weeknight meal? 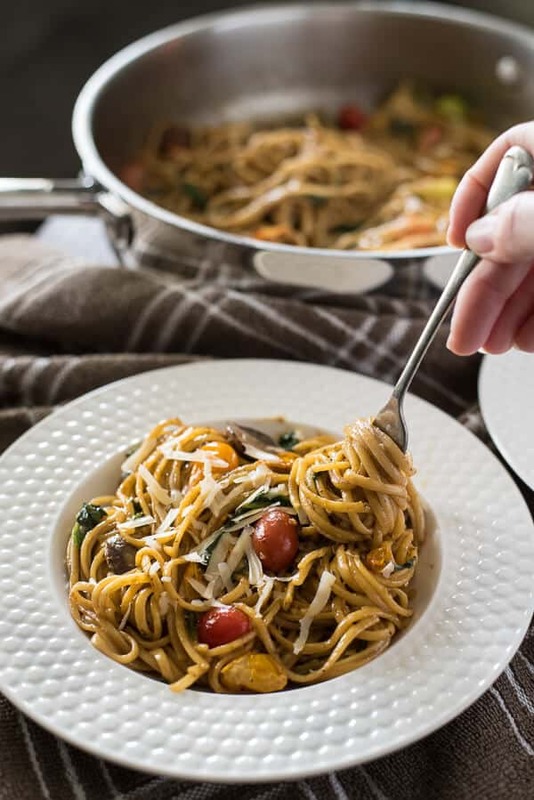 It doesn’t get much better than One Pot Tomato Basil Pasta – linguine, fresh veggies, and a light, creamy sauce make this a dinner worth repeating! And mushrooms and baby heirlooms and spinach and basil and CHEESE. Stop me if you’ve heard this one. Tell me those things aren’t part of one of your favorite dinner combos? I could eat a big bowl of pasta every night. Sub in different veggies and sauces and herbs and I’d be set for life. I would need to run WAY more than I am currently, but all them carbs would make it easier. And if said pasta dinner could be ready in 30 minutes every night? I could spend that extra cooking time doing a few extra laps around the block. 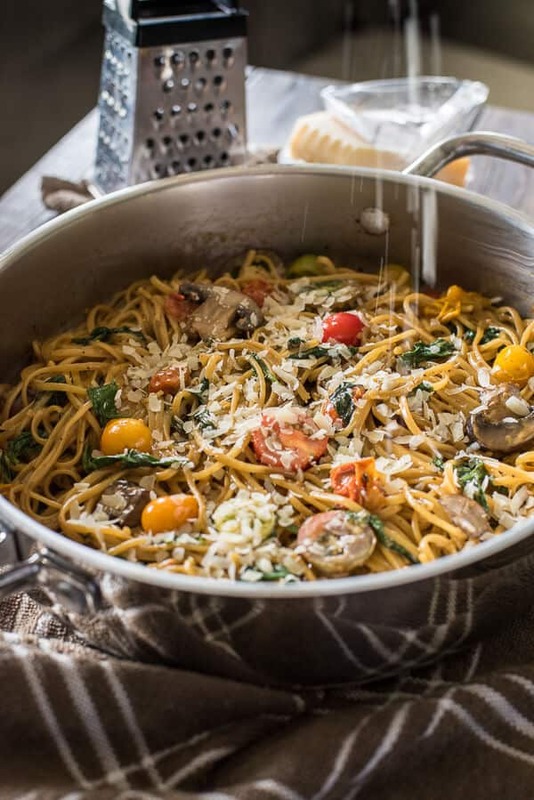 JUST TAKE ME TO THE ONE POT TOMATO BASIL PASTA ALREADY! 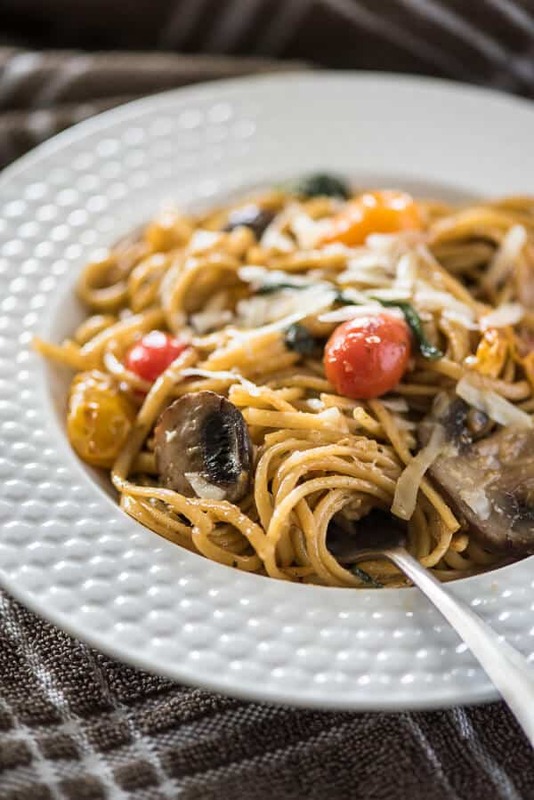 If you’d rather skip my (pretty darn helpful) tips and tricks, essential cooking info, and similar recipe ideas – and get straight to this deliciously easy one pot pasta recipe, just scroll right on down to the bottom of the page where you can find the printable recipe card! So, remember last year when I tried to dye my thumb green and grow a garden? And then I killed everything? And then I had a zombie tomato plant that came back to life last spring? By the way, that thing died a horrible, dry and fiery death over the summer. I am just not a plant nurturer, what can I say. I have managed to keep my basil plant alive and well all summer, though it got a little hairy with all the tropical rain we’ve had in the last few weeks. He almost drowned on me. Luckily, I have discovered Dorot. What’s Dorot, you ask? I had no idea either, but once you try it, you’ll never look back. 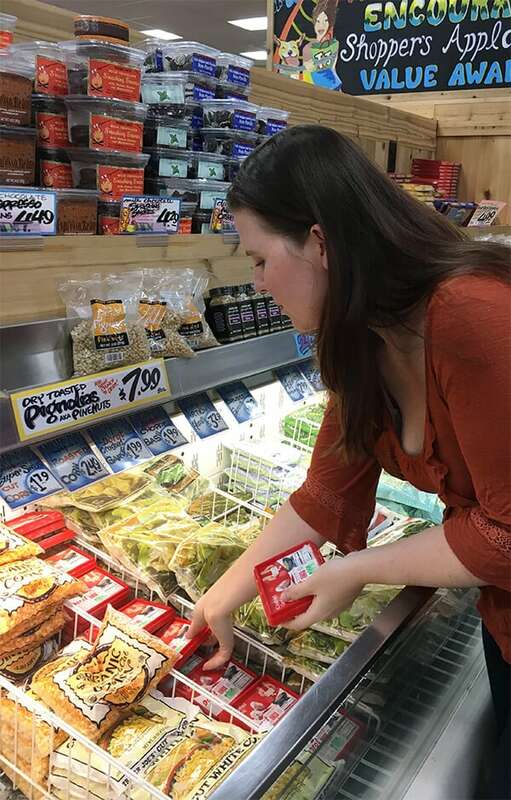 Imagine discovering the answer to some, if not all, of your culinary prayers just walking by down the frozen food aisle at Whole Foods or Trader Joe’s. And no, I’m not talking about cookie butter. If you’re a failure farmer like I am, you probably often find yourself buying fresh herbs from the grocery store. Now, be honest: how often do you end up using the whole package before you have to toss them in the compost heap? And what are the odds that you think to chop them all and freeze them in ice-cube trays with some olive oil before they go bad? You’re busy – you don’t. These sort of situations are exactly what Dorot is here for! Washed, peeled, chopped, and flash frozen within 90 minutes of being harvested, these little cubes of herby goodness are perfectly portioned for any and all of your cooking needs. 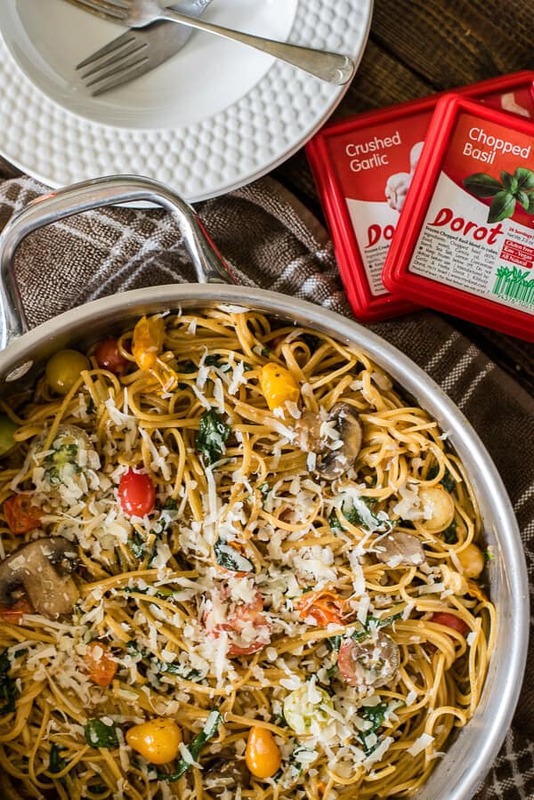 No prep, no cleanup, no bits of basil under your fingernails – Dorot makes time in spent in the kitchen that much more enjoyable. A little bit goes a long way with those cubes, too. 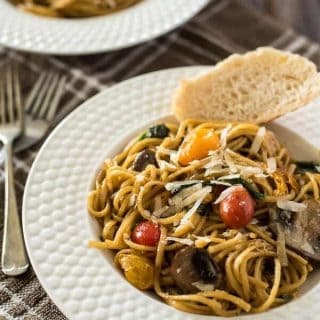 In this 30-minute one pot tomato basil pasta, I used 4 of the garlic cubes (equal to 4 cloves) and 5 of the basil (just over a tablespoon) and the flavors were spot on. I admit, I had my doubts, but I’m so glad I was so wrong about this wonderful little product. With as much time as I spend in the kitchen working on blog recipes, I wish I could find more amazing shortcuts like this! 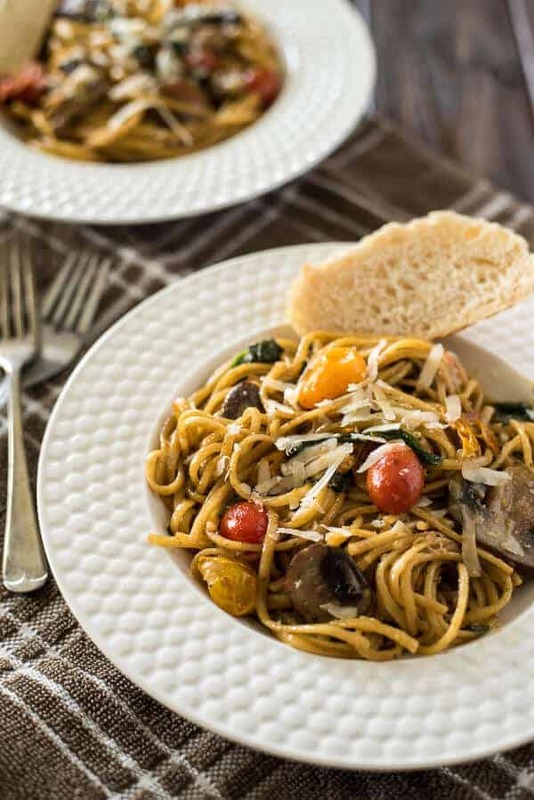 Looking for a delicious quick & easy weeknight meal? 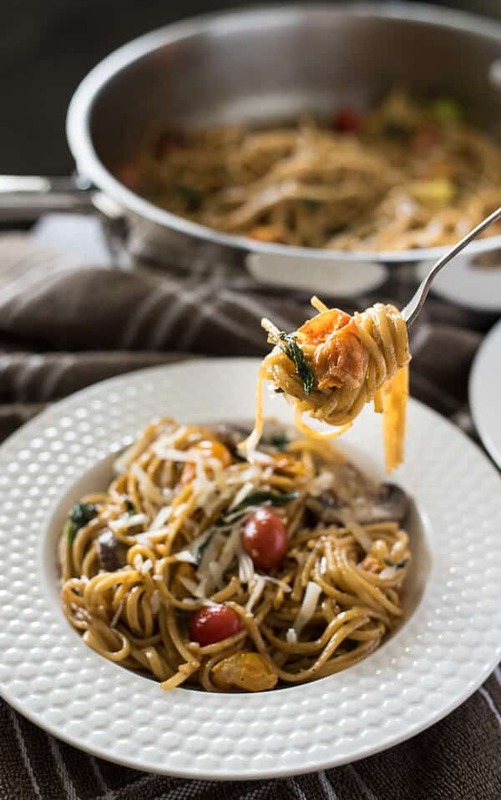 It doesn't get much better than One Pot Tomato Basil Pasta - linguine, fresh veggies, and a light, creamy sauce make this a dinner worth repeating! Heat olive oil in a large skillet set over medium heat. Add baby tomatoes, mushrooms, and a few pinches of salt; cook for 2-3 minutes, allowing the tomatoes to begin to blister. Stir in ½ cup broth, butter, and garlic. Cook about 2 minutes until fragrant and incorporated. Add remaining broth, milk, basil, and dry pasta, stirring to distribute. Season with salt & pepper to taste. Bring to a boil, then cover and simmer 9-12 minutes, stirring occasionally, until pasta is tender to taste. Stir in fresh spinach and allow to wilt, then stir in Parmesan. Serve with a sprinkle of extra Parmesan and fresh basil ribbons, if desired. Enjoy! This recipe looks easy to make. Love that after a long days work. I have been using this product for awhile,love,love,love it! I just keep them in the freezer and pull out a cube when I need it,so easy and I have ing on hand that I wouldn’t otherwise!